Following brief use at Chester-le-Street Depot, this vehicle has now transferred from Chester-le-Street Depot to Riverside. This should allow the withdrawal of Scania L94UB/Wright Solar 4944 (NK51 OLH), the final 'Euro 4' example of its type at the depot. 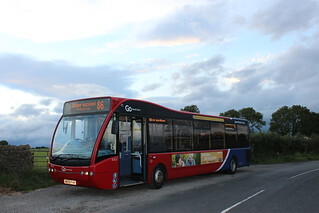 Following the entry into service of Optare Solo SR M890/Optare 724 (YJ13 HMY) and 725 (YA13 AAE) at Crook on service 18, this vehicle has transferred from Crook Depot to Chester-le-Street. It is intended for this vehicle to transfer onward to Riverside Depot, where it will allow for the withdrawal of a further Scania L94UB/Wright Solar from the fleet. Following the allocation of long-term loanee Optare Versa V1170 Hybrid/Optare 9084 (YJ64 DZM) to Riverside Depot to operate services 67/69, this vehicle has transferred from Riverside Depot to Crook. 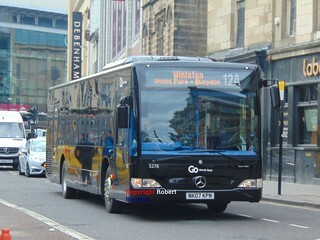 The allocation of this vehicle to Crook Depot will see the conversion of the 18 service from minibus to midibus. 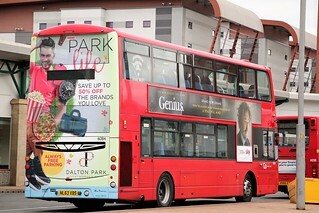 Following repaint, this vehicle has transferred from Deptford Depot to Riverside. 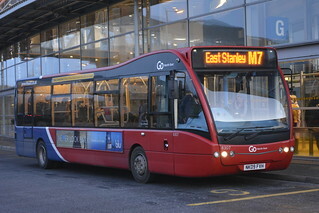 At Riverside, it will operate services 67 (Metrocentre - Wardley) and 69 (Winlaton - Wardley). 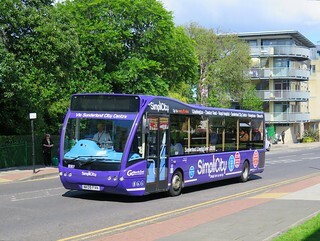 In line with the entry into service of new Wright Streetlites on services 2/2A; this vehicle, which was previously allocated to these services and branded as "SimpliCity", has been repainted into Go North East's corporate livery. 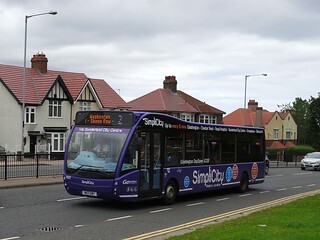 This example carries the tagline "Stay Connected | Many of our buses have free WiFi on board"
Following the introduction of new Wright Streetlite vehicles on "Drifter" service 60 (Sunderland - Parkside), this vehicle has been repainted into a purple base livery. 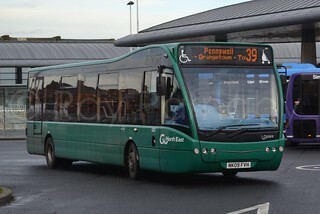 It will be re-allocated to service 39 (Pennywell - Doxford Park), and fall under the "SimpliCity" brand. 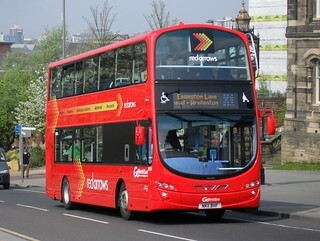 Following the entry into service of new Wright Streetlite vehicles at Deptford Depot on "Drifter" service 60, this vehicle has been de-branded and as such no longer carries "Drifter" branding. 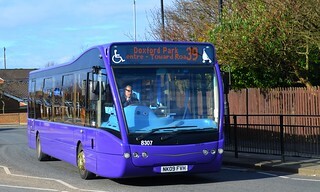 This vehicle has entered service at Deptford Depot on "Drifter" service 60. 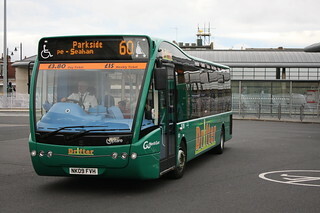 Ahead of its entry into service; this vehicle has received "Drifter" branding, with sub-branding for service 60.